For those who are barely waiting to leave winter behind, let us help you with that! We will be taking a trip, virtually that is, to three beautiful destinations that you must visit this summer. And what better country than one that has it all; art, culture, food and some of the best architecture in the world. Yep, Italy! In this journey, we will be taking you to three famous Italian cities, Venice, Florence and Pisa, with some specific places that everyone should visit while being there. You will get to look at some beautiful pictures, while reading our guide, and we are certain that they will make you wish you were right there. And because there is no fun trip without a chic and trendy outfit, we have thought about that, too. There will be an outfit suggestion featured within this guide, so you can pick and choose either it as a whole, or whichever clothing you might prefer. We are as excited as you are about all of this, so let’s not waste any more time. Let’s start with Venice, the city on water, which was founded in the 5th century and it is built on 118 small islands, in Northeast Italy. 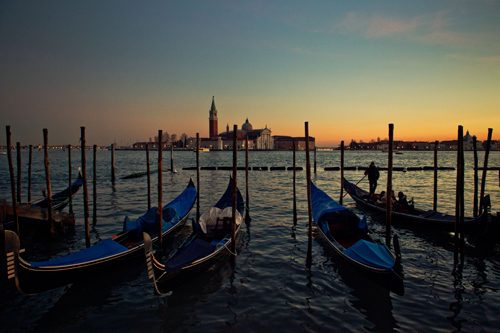 The inhabitants travel around in their long boats, called “gondola”, navigating through the narrow canals, which are this city’s roads. A culturally rich city, with an architecture that has, for the most part, remained untouched, Venice enchants anyone that visits it. 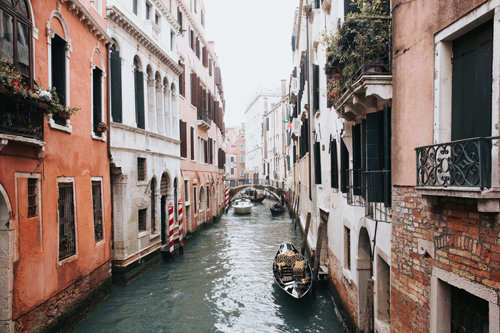 Venice has several must-see places and buildings, but we’d highly recommend the Gallerie dell’Accademia, I Frari and Santa Maria della Salute, to have a look at different architectural styles and historical eras. 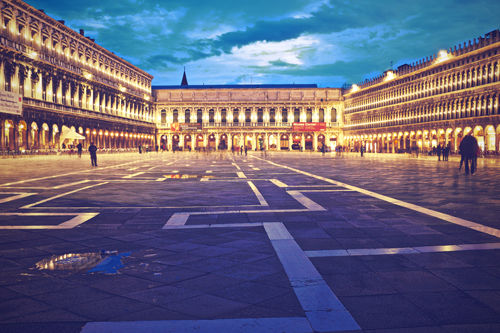 What you cannot leave without visiting is the Basilica di San Marco and very close to it, the Palazzo Ducale. Next, visit Florence, the Renaissance city that will definitely make you look twice and visit many more times. You can do so much in such a small city, which will offer different experiences as the day goes on. With buildings that represent history and with delicious food and some of world’s best wine, you cannot help but love Florence. 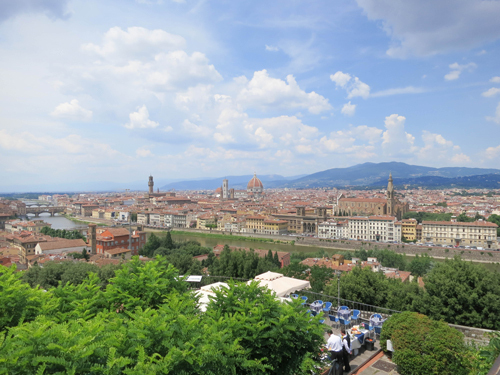 To see this city, hop on a rental bicycle and ride across the narrow streets, for a complete Florentine experience. After taking a look around at the Galleria degli Ufizzi and the Duomo, stop right there, at the Piazzale Michelangelo, for a look at the statue of David, which we are sure, will surprise you. We will not spoil the fun! 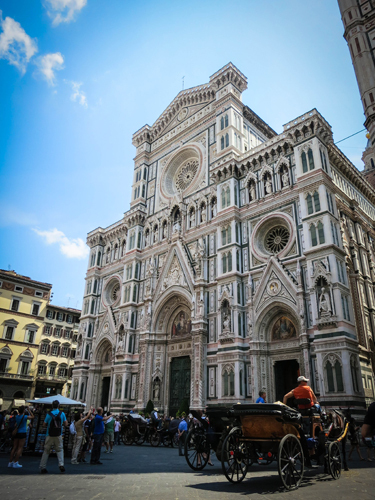 And because you cannot leave Florence without visiting the Basilica Santa Croce, a Franciscan basilica which holds the tombs of Galileo, Michelangelo and Ghiberti, three of Italy’s most renown figures. But if you might be a bit on edge from the thought of tombs, then the frescoes done by Giotto, will completely captivate you. The outside is just as beautiful too, with a façade made of colored marble. 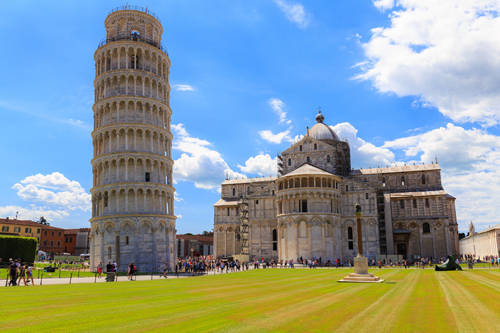 Lastly, Pisa, with its leaning tower in Piazza dei Miracoli. This tower is world-famous, however, seeing it in person is a whole different experience. Much like other historical cities in Italy, you can visit the old Cathedral, Baptistery and a tad further is the Cemetery. There is also the Piazza dei Cavalieri, which you cannot miss! If you happen to visit around June, you will be treated to celebrations of San Ranieri, where you can take part in the Luminara, a festivity of 70,000 lit candles, called “lumini”. Then the next day, there is the Regatta of San Ranieri and on the last Saturday of June, is the Battle of the Bridge, an event that you must attend, if you are planning on visiting the city. 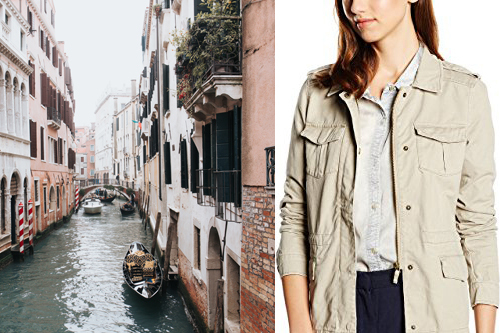 What To Wear In Italy On Your Summer Trip? It will be summer and believe us, summer in Italy can get a bit too hot. 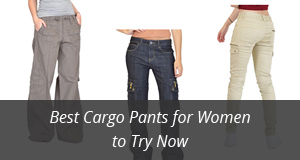 That means light clothes and preferably cotton. 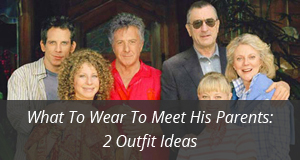 We are now at the outfit that was put together for this review, so let’s take a look at it. 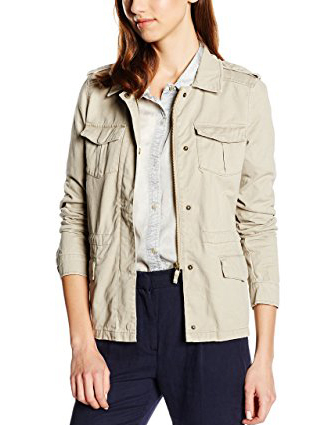 First things first, hot days typically mean breezy evenings, so don’t even think about going without a summer jacket. This beautiful piece by Cortefiel is Sahariana, a 100% Cotton jacket, in the color Beige. It comes with long sleeves, that can be rolled up and buttoned on the sides. There is a zipper closure, as well as snap buttons for a quicker fastening. On both sides and on the chest you will find four flap pockets, suitable for small belongings, but let’s be honest, you cannot travel without a bag. And since we mentioned it, of course we have selected a bag for this outfit. 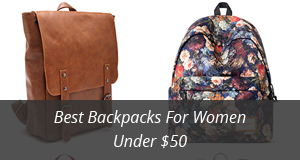 A backpack, in fact, and this not just because this beauty is a must-have, but also because backpacks are the best option if you are moving around a lot and need your hands free for all the photos you will be taking. 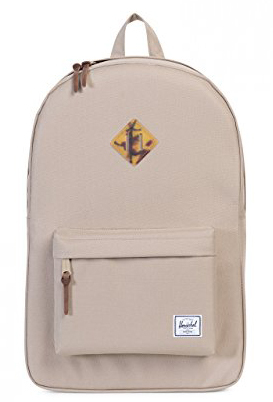 It is The Little America backpack by Herschel and comes with an outer pocket. This bag opens on top with a zipper and comes with fleece lining on the inside sleeve pocket, fitting for a 15″ Laptop. It is in the color Beige, matching the cotton jacket from earlier. There is no summer without T-shirts and the one we have picked is by edc by Esprit, a striped T-shirt, with a crew neck collar. The sleeves are cropped, which go great with the casual look of this T-shirt. It is made of 60% Cotton and 40% Polyester, very light and thin, perfect for those hot summer days. 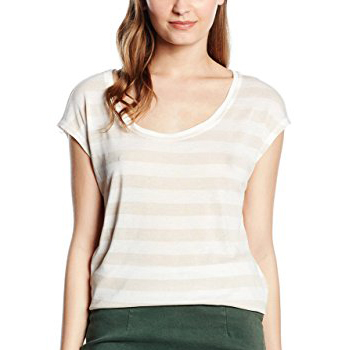 This T-shirt comes in two color options: White with beige stripes and Blue navy with grey stripes. What do both T-shirts and hot weather go best with? Exactly, shorts! This design is by a popular brand, Levi’s and they are mid-length, made of 99% Cotton and 1% Elastane, making them breathable and comfortable. They come with the classic five-style pocket and are folded at the bottom. The closure is a combination of zipper and button, typical for jeans. You can choose from the colors: Mariposa Road and Warmer Days. 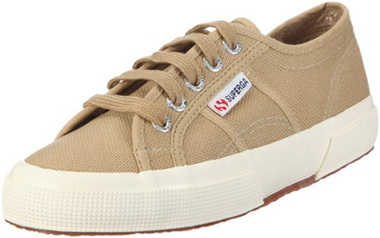 Lastly, this pair of trainers by Superga completes the look. They are in the color Camel, and are made of Canvas for the outer material, with Natural rubber sole, which provides padding and makes walking comfortable. This is necessary if you are walking around all day and focusing on enjoying the view, rather than worrying about blisters. The closure is lace-up and they are flat-heeled. So girls, grab your suitcase, and take your partner or your girlfriends to Italy this summer, for a holiday that has it all! Thank you sharing such great tips! I only visited Rome and Milano so Florence, Venise and Pisa are on my bucket list. Happy International Women’s Day! I’ve been to Venice and it’s truly such a beautiful city! My dad loves Italy and I hope to go again soon. Seriously one of my favorite places I’ve been to. I’ve been lucky enough to visit all three of destinations, and remember being absolutely blown away. I absolutely loved Florence! I’ve been to Venice and Pisa, but wasn’t lucky to visit Florence. Your pictures are amazing that I want to go back to Italy and visit Florence. Venice is on my must visit this year list! I love Florence but Pisa not as much.